She has a self-proclaimed heart for public service, and she keeps it all in the family. Mary Williams-Stover began her volunteer career with the Center for Volunteer Caregiving several years ago when her daughter, Imani, was asked to volunteer as part of a service project. She immediately knew which organization to suggest. Williams-Stover holds a seat on the board for the Cary-based center, which provides assistance to area seniors, caregivers and disabled people to help them maintain independence and quality of life. She knew the organization had a long waiting list for help, so she jumped at the opportunity. The mother-daughter duo was paired with Dr. James Longmire, an accomplished Raleigh voice instructor who is sight impaired. They started with a simple gesture, taking him to the grocery store one Saturday a month. The bond stuck. Today, “He’s a member of our family almost,” Williams-Stover insists. The value of the work stayed with Imani. Now 19, she is majoring in social work at UNC-Greensboro. 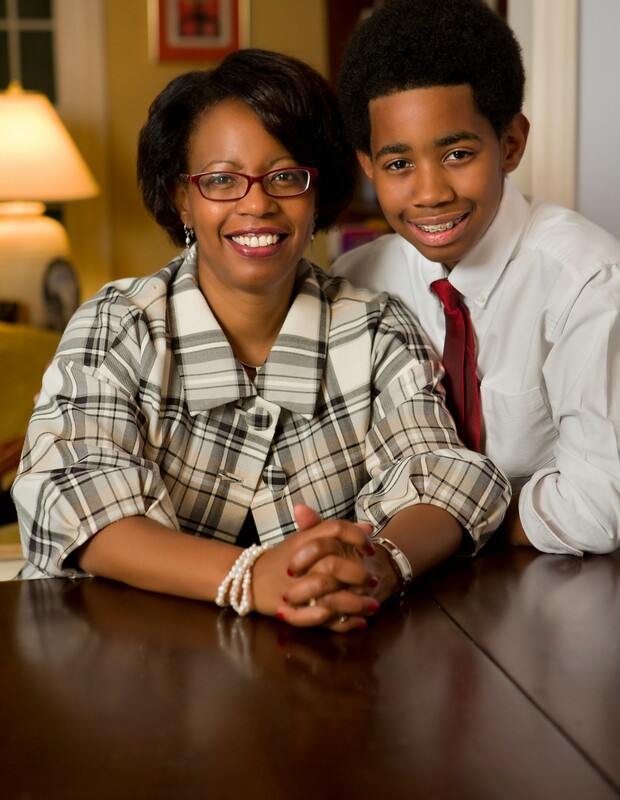 “When you’re in a family and involved in an issue, everybody’s involved,” Williams-Stover believes, and she’s kept the streak running with her 13-year-old son, Darius. Husband Darrell, a performance poet and writer by avocation, has also read his works at center events. To indulge Dr. Longmire’s love of music, the family often takes him to productions like the Starlight Series of outdoor concerts held at the Page-Walker Arts & History Center. They also assist with light housework tasks and opening mail. “He’s able to live independently because of the support of the center,” Williams-Stover said. “He’ll tell you that.” The issue hits close to home for her. Originally from Baltimore City, Md., and an only child, she moved to the Triangle 14 years ago for her job with the United Way, but her mother didn’t follow. “My mother is over 90 years old and she is able to remain independent because of her neighbors who care for her, help her with grocery shopping, help her with housekeeping, help her with her daily needs,” Williams-Stover said. She admits that gives her a soft spot for organizations that allow seniors to maintain independence. That friendliness is a crucial element to the mission of the Center for Volunteer Caregiving. “Being able to socially engage with another person is critical for their quality of life,” Williams-Stover said. And it doesn’t take much, she insists. “I’m a mom. I work full time for a living. I’m a wife, and that has its own set of challenges. I’m busy. This is a great way to give back and help somebody without a whole lot of time being required. 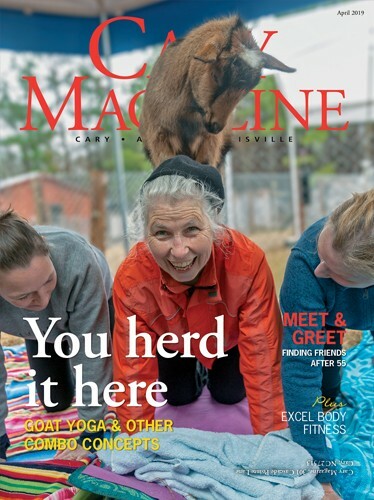 “There’s a misperception that you have to have a lot of time to volunteer,” she said, but the minimum requirement for center volunteers is just four hours per month. Williams-Stover notes that the population is aging and Cary is a popular area for seniors to call home, meaning the number of seniors requesting volunteer assistance will surely increase. She earnestly hopes more people will discover the center’s programs and schedule a small amount of volunteer work into their busy lives. “I don’t want us to have a waiting list,” she reiterated. Professionally, Williams-Stover’s devotion to public service is evident in her post as assistant director for the N.C. Council for Women, a women’s advocacy agency. She also facilitates study circles with the YWCA of the Greater Triangle aimed to reduce racism and sexism in social systems. Considering all her avenues of involvement throughout the Triangle, Williams-Stover follows her own advice, giving elements of her time, her talent and her treasure to strengthen the community. For more information on the Center for Volunteer Caregiving, visit www.volunteercaregiving.org.